Sixty-four percent of Americans believe racism is still a major problem in our society while 30 percent said racism exists today but isn't a major problem, according to a new NBC News|SurveyMonkey poll. The poll coincides with the airing on Tuesday night of an MSNBC town hall called "Everyday Racism in America" on racial bias in the country. 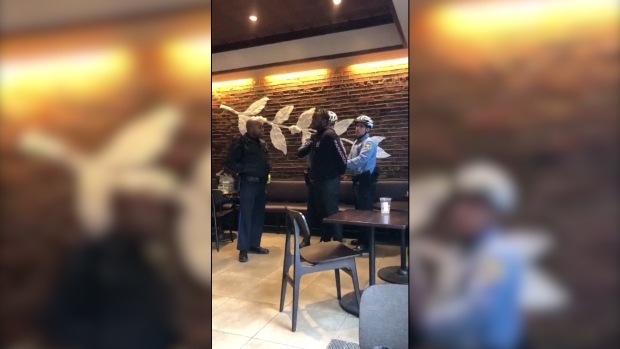 It was held in Philadelphia, where the arrest of two black men in a Starbucks last month stirred outrage across the country. On Tuesday, 8,000 of the coffee shop's stores closed for "racial bias training." Recent weeks have seen similar high-profile incidents involving apparent racial profiling of people doing innocuous things, like barbecuing in a park, and 45 percent of people who responded to the poll said race relations in the United States are getting worse.